Skills is a service to find people with the skills and knowledge you need. 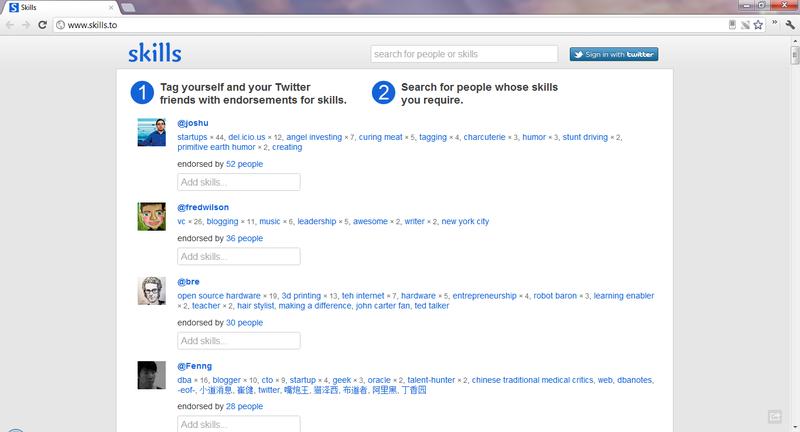 When your Twitter account is connected you can tag yourself and friends with skills as well as make endorsements. It reminds me of services like Connect.Me.